Buy your copy online today. 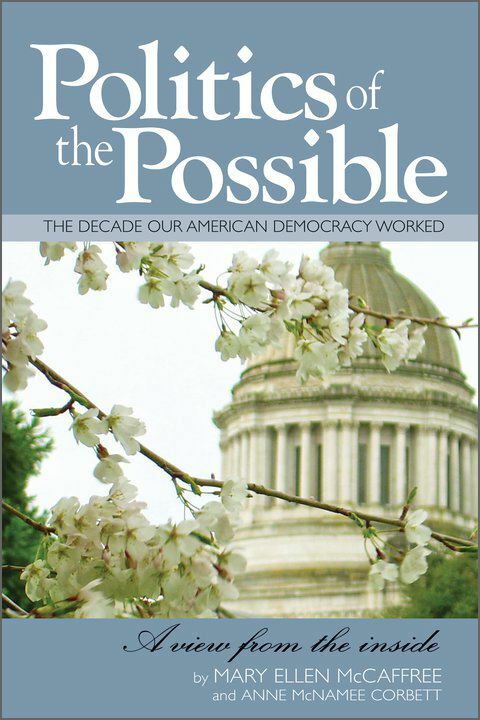 The League of Women Voters of Washington is delighted to partner with the Politics of the Possible in Action to bring you the incredible story of Mary Ellen McCaffree as told in her book called Politics of the Possible. A lifetime League of Women Voters of Washington member and mother of five, Mary Ellen played a major role in the League’s activities in the 1950s and early 1960s. After serving three years as president of the Seattle League, she went on to run for the Washington State legislature in 1962 – and won. Politics of the Possible proves that politics can be positive, real government reform is possible and citizens can make a difference. Your purchase of the book also ensures that future generations will be able to follow in Mary Ellen's footsteps: the League of Women Voters of Washington Education Fund receives $10 for every copy sold. Cost of the book including sales tax is $25.00. Shipping is additional . If you are interested in having a speaker visit your League or other organization to discuss the book Politics of the Possible, redistricting, tax reform or citizen advocacy please e-mail the state office. Programs can be customized to suit the needs and interests of your League.